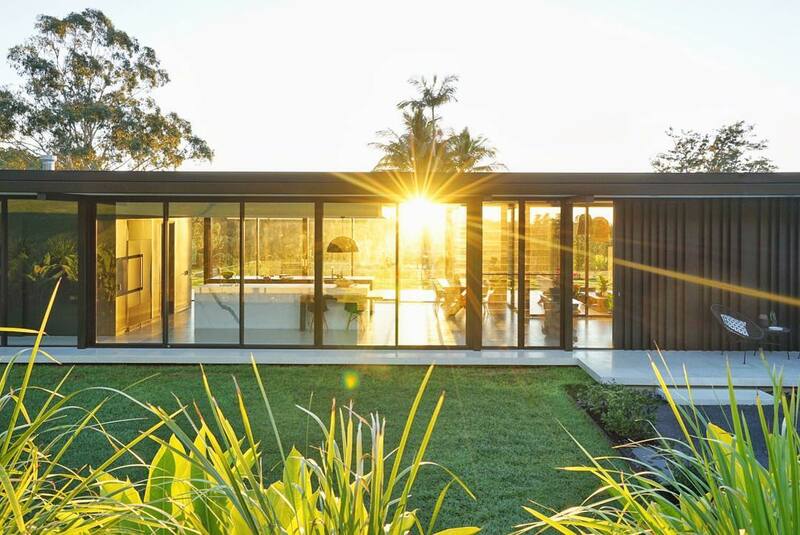 Architect and photographer Jake Magnus captured this shot of the Noosa Valley House in the early morning light. Located in Queensland, Australia, the residence was created by Sarah Waller Design, an architectural studio that’s based in the Queensland suburb of Doonan. The glass pavilion–style home was designed for Sarah Waller and her family and sits on top of a polished concrete slab. Inspired by the midcentury era, it looks out to the Noosa Valley golf course.